Looking for Salt Water Pools in Lancashire? Several of them belong to gyms or sport centers which also present lessons. We at present have the following Pools, but we are usually grateful for any corrections or contributions. Get in touch through our get in touch with form. The very best pools to swim are surely indoor olympic pools. Please have a look to the Salt Water Pools in Lancashire swimmers like you may have reported. Is your pool not listed? Contact us to ADD IT. It's cost-free! Not all countries would be the exact same, and swimming regulations and rules are changing from one country to another. Please, use the make contact with facts supplied at each and every pool profile. Holding an estimated population of 67.400, Rossendale is among the most important cities in Lancashire. Check all the Swimming Pool in Rossendale and its surrounding region. Let us let you know a secret to switch off while you happen to be in Preston: just choose a Swimming Pool in Preston and plunge into the water! There's no alot more beneficial method. It's difficult to visit Lancashire with out dropping by Fylde (with 76.500 residents). 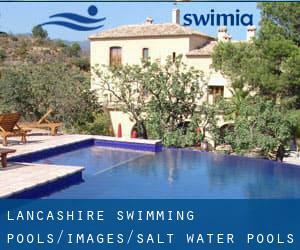 At present Swimia is showing you all the Swimming Pool in Fylde and the closest pools located in its vicinity. Whereas Lancaster is among the six most populous cities in Lancashire with almost 47.162 residents, you shouldn't miss that one if you're going to Lancashire. Without a shadow of a doubt, swimming in Morecambe would be the finest way to unwind soon after work. Take a couple of minutes to browse Swimia's catalog to find a Swimming Pool in Morecambe. Swimming is often a excellent idea to keep your body active during your visit to Burnley (Lancashire), or perhaps if you are a local. Swimia helps you to discover your closest Swimming Pool in Burnley.